Is your asphalt driveway beginning to crack? Repairing cracks in Fenwick Island driveways and walkways quickly can prevent further separation of the surface and additional problems. Tom McDonald Contracting specializes in crack repair and seal coating. 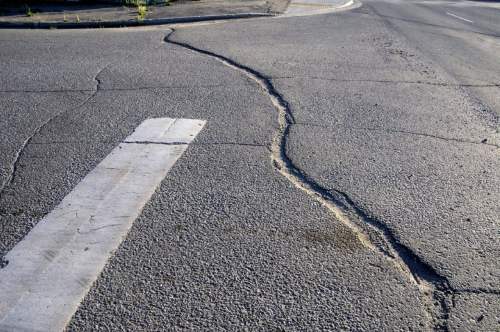 Crack repair is one of the most important steps in maintaining your asphalt surface. Regular maintenance of the surface will extend the life of your driveway or parking lot. Before you have that asphalt seal coated, be sure to have the cracks repaired. Call (302) 219-7939 to learn about pricing for crack repair of your Fenwick Island blacktop or asphalt surface. You'll be surprised at how inexpensively Tom McDonald Contracting can repair your cracked surfaces and provide a protective barrier for years to come. Tom McDonald Contracting has been providing crack repair of Fenwick Island driveways, walkways and parking areas since 1990. Our Fenwick Island sealcoating crews are highly experienced, expert crack repair professionals. We work with only grade A materials and the latest equipment to cost-effectively complete the task. You'll be assured to have a beautiful, durable, end result. For fast, friendly, reliable customer service, and an experienced technical staff, call Tom McDonald Contracting for your crack repairs in Fenwick Island, Delaware.